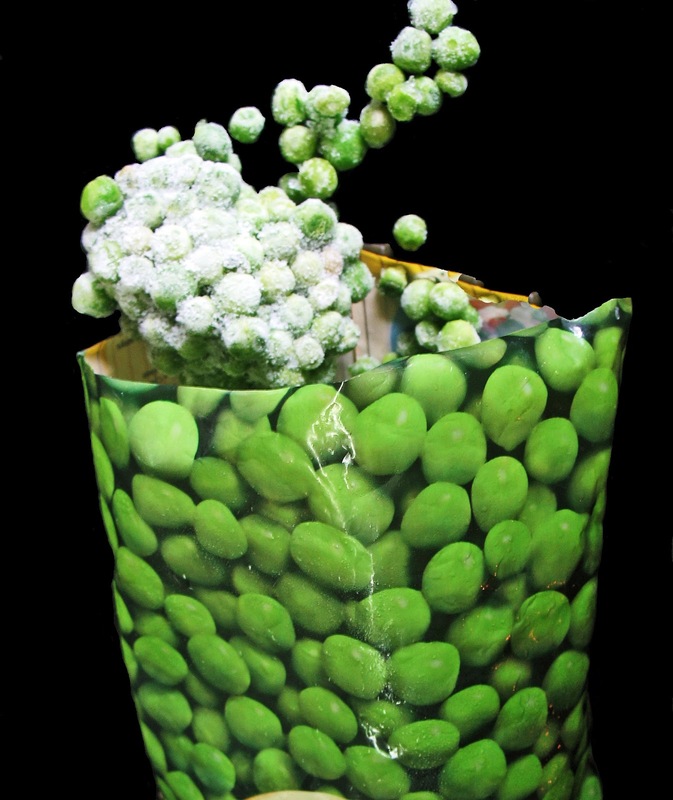 These are photographs of frozen peas pouring out of a plastic pouch. The brand is not visible in any of the pictures. 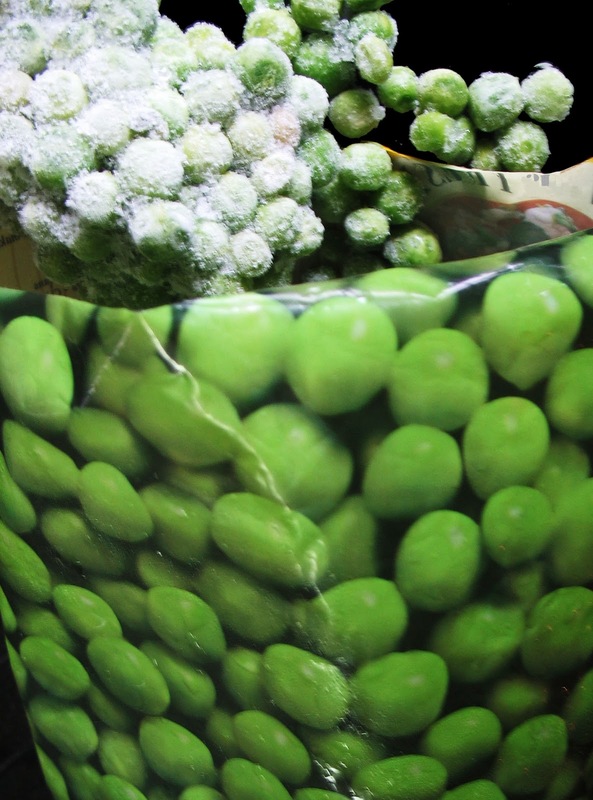 The ice caking the peas is visible and so are the individual peas. The peas on the side of the pack are part of the image the manufacturer has used. Only the peas actually shown coming out of the packet are real peas. The background in these pictures is black, although these are not cut-outs.